Mainly playing New Orleans & Dixieland Jazz, this versatile group also perform Trad Jazz and Swing/Rat Pack styles. The professional musicians that make up this wonderful ensemble are widely regarded as being amongst Europe’s finest exponents of jazz and are in constant demand for corporate events, garden parties, concerts, weddings, dinner dances and formal balls. As well as performing at such prestigious venues as The Royal Festival Hall, The Barbican and on board The Orient Express, the band are also regularly featured on radio and have made several TV appearances including Channel 4’s ‘Lock Stock and Two Smoking Barrels’ and the BBC’s ‘Murder in Mind’ series. The versatility of the musicians in the band enables its leader, Roger Graham, to change the group’s size, style and appearance to suit the needs of any event. 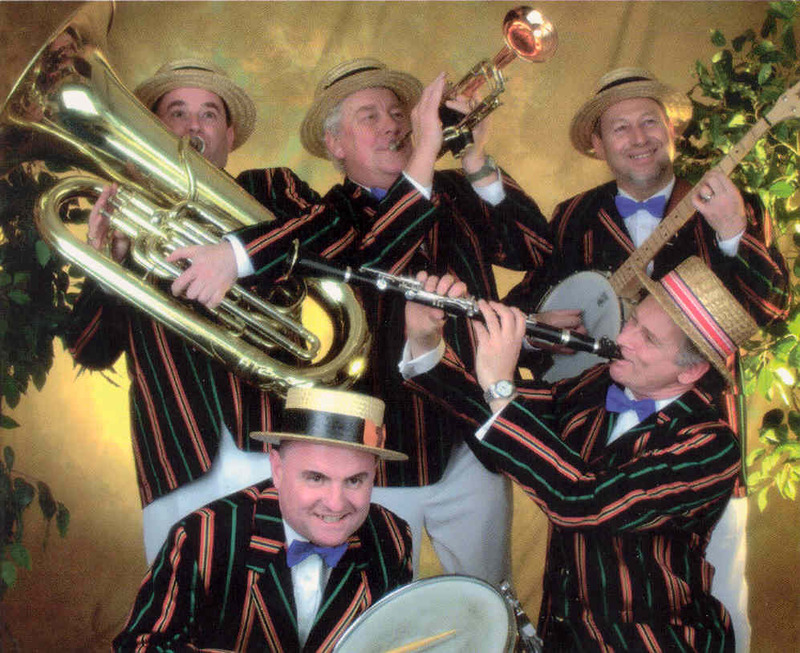 So, whether you require the services of the vibrant sounding Dixieland quintet or the subtle, sophisticated tones of the saxophone trio, first class entertainment and immaculate presentation is guaranteed.